April, 2009 | Isabelle Chrun M.Sc. Don’t get me wrong, I’m not trying to convince you to become a bad loser. I’m only realizing that there are many types of person in this world, and that on a certain level I can count myself as an extremely lucky girl. My life has been so great so far. I have success in school and in sports. I always meet warmhearted people wherever I go, even when I’m heading towards the other end of the planet. Lately, I noticed some campaigns on the prevention for suicide. Have you watched this week’s episode of ‘House M.D’? If you haven’t, don’t worry, I won’t spill out the HUGE spoiler like one friend did to me (damn you!). But at the end of it, during the credits, they shared an organization for those with suicidal thoughts. I find it wonderful to witness social responsibility by the mass media. Furthermore, I have friends who are taking part in raising awareness for suicide prevention. I bought their promotion T-shirt on their website (altitude-sports.com) and I encourage you to do the same. Get your own ‘Suicide Action Montréal 6500 km à vélo‘ T-shirt. Altitude-Sports.com invites you to support Jerome Blais as he cycles across Canada to raise awareness for suicide prevention. 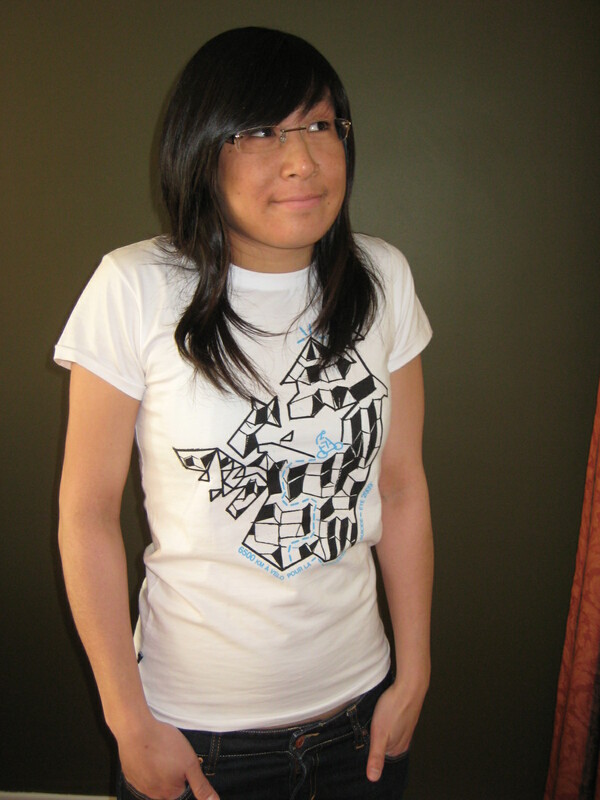 Encourage him by purchasing one of the 100% cotton t-shirts by BLANK, proudly made in Quebec. In Quebec, suicide is the leading cause of death in men aged 20 to 39, as well as in women aged 25 to 29. Suicide Action Montreal (SAM) is an organization which, thanks to its many volunteers, works hard in the area of suicide prevention. SAM offers support to those with suicidal thoughts and their friends and families. Please note that the entire expedition has been personally funded by Jerome. We are therefore asking for your generosity in supporting a very important cause, not to pay for a trip. All contributions, including the profits of t-shirt sales, will be donated to the SAM Foundation.